In this blog I will show you how to remove the broken screen from laptop series HP Probook 4320, 4320S, 4510, 4510s, 4515s, 4520, 4520s. The Hp Probook notebook usually come 13.3, 15.6 and 17.3 inches matte TFT LED screens. 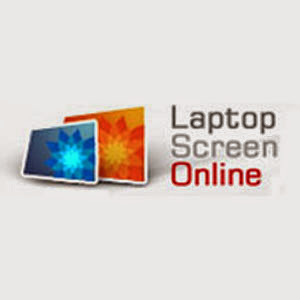 Listed below are links the replacement screens you will need to be able to carry out this repair. To replace the screen of the Hp Probook laptops you will need precision screwdrivers like the ones in the image on the left. The first thing is to remove the battery from the Hp laptop before starting the replacement. At the lower part of the plastic bezel remove the screw covers to expose the screws. There are 4 screws to remove. Remove the screws and keep them safe. Put your fingers between the screen and the plastic bit and remove the bezel. Take the bezel out reveals the internal part of the HP Probook. Using the image on the left remove the 2 screws on the sides of the screen. Pull the screen slightly and remove all the side screws. The next thing will be to remove the screen data cable. This is held down by a clear tape. Peel up the tape. Move the cable clip upwards and disconnect it from the back of the screen. The HP Probook screen removal process is complete. To install a new screen simply carry out the process in reverse. Looking at the back of the hp Probook 4320 and the 4320S LED panel you will find the screen part number. The regular screen for these models is LG Phililps LP133WH1. For the 4520 and the 4520S the screen will be Samsung LTN156AT02, LP156WH2, B156XW02, N156B6-L0B or CLAA156WA11. Is the screen from a ProBook 4510s exchangeable with a 4525s? I have a ProBook 4510s with a cracked screen. I have a couple 4525s shells (with no hard disk) - can I take the screen from a 4525 and put it in the 4510? I have a ProBook 4510s with a cracked screen - I have several 4525s shells (with no hard drive) can I take the screen from a 4525s and put it in a 4510s? Yes they both carry the same screens. The problem you may encounter is the where the connector is. The 4510S may have the connector on the bottom-right and the 4525S on the bottom-left.